Blax and I departed from Mon Calamari after receiving information that Fett was headed to Bothawui. Before we were able to hit hyperspace we recieved a transmission from Captain Denk. We are to rendevous with the fleet and report to him ASAP. Captain Denk wanted a debrief on the mission and an update on the defector Blax. Now that you've been out in the field with Blax, what do you think? He seems to hate the Empire and has some good contacts, but I still don't fully trust him. Maybe training against Stormdroids will fuel his dislike of the Imperials. Head to Bothawui and capture Fett then we can further discuss Blax's future. The Force is with us. Stormdroids are easy to create...we just dumb down the AI and plop on Stormtrooper helmets. Another great build! Great SNOT, greebling, idea and also nice story. The training room looks really cool. Reminds me of the one seen in TCW with a little more details that make it look more realistic. 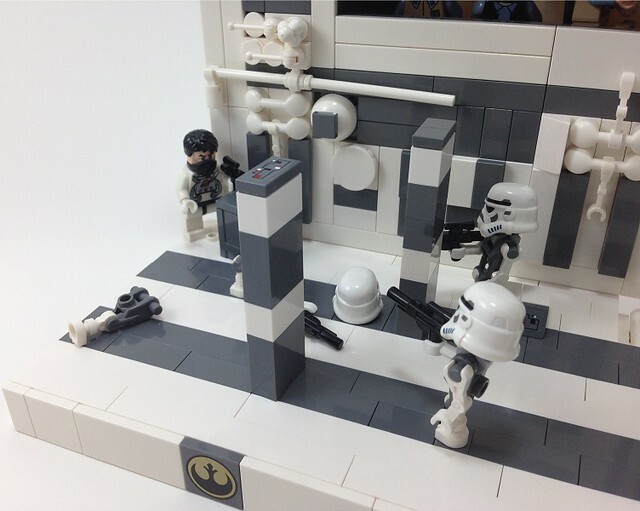 I like the concept a lot, though it might be a little too advance for the Rebellion. 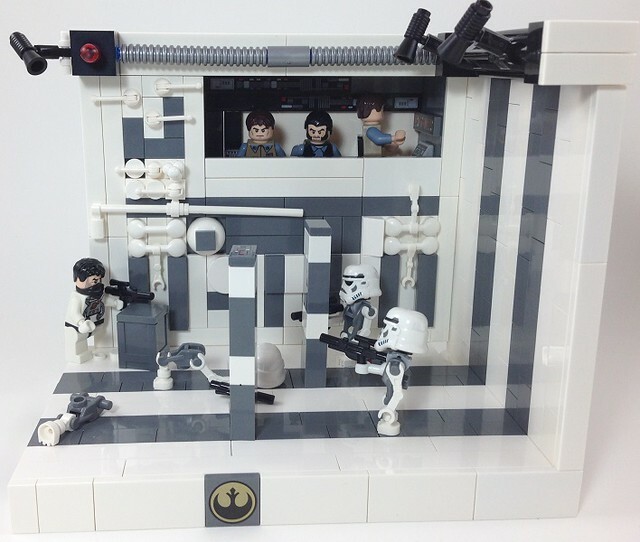 Very nice MOC, great colour combo and those Stormdroids rocks! Yes, absolut great job on the MOC! Like all the details and the idea with the stormrobots are really crazy - but good .